This year the London Design Festival marks a decade of celebrating the achievements of designers who are making a significant difference to our lives through their innovation and originality. Established in 2003, the London Design Festival is a citywide celebration that brings together a global community of designers, artists, architects, and retailers to activate projects responding to the transformative power of design. 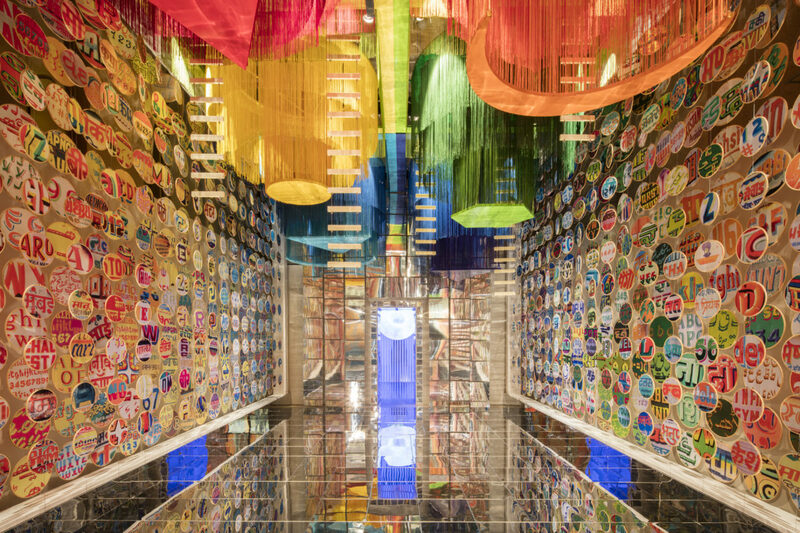 In 2016 over 400 events and installations will take place, from an engaging programme at the Victoria and Albert Museum to large-scale installations across landmark locations. These interventions reflect the stimulating diversity of creative thinking, and are all united in their ability to inspire, entertain and arouse curiosity. Something Curated highlights the must see events at this year’s edition of the London Design Festival, running from 17-25 September. Drawing on Brixton Design Trail’s ‘Rebel Rebel’ theme, the project will transform the flank walls of Stockwell Avenue into a large-scale canvas with original commissioned artwork by both well-known and undiscovered local street artists, along with participation from festival visitors and the local community. 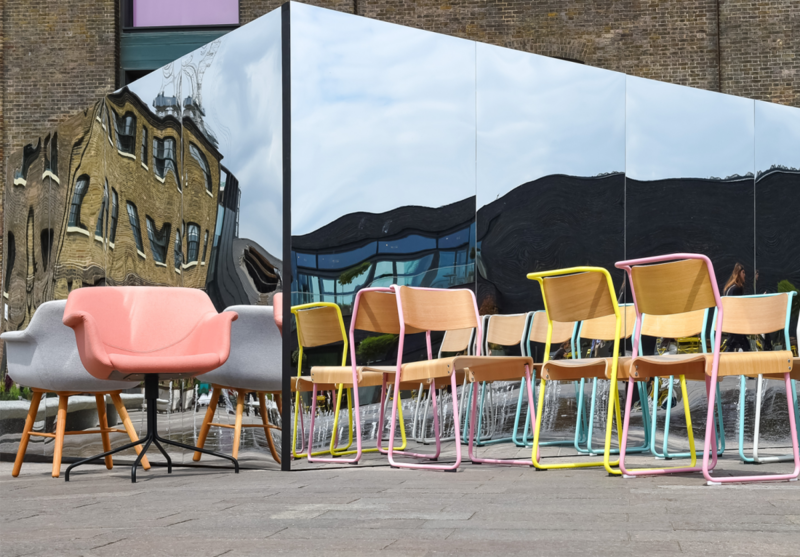 The pedestrianised thoroughfare and pavements will be animated with bespoke street furniture and custom planters alongside appearances by local street food and drink vendors. The space will evolve over the duration of the festival, showcasing the creative talents of people living and working in the area and providing an outlet for the community to celebrate the unique culture and heritage of Brixton. Green Room is a monumental installation at the V&A, conceived by London design studio Glithero, aiming to explore the theme of time. 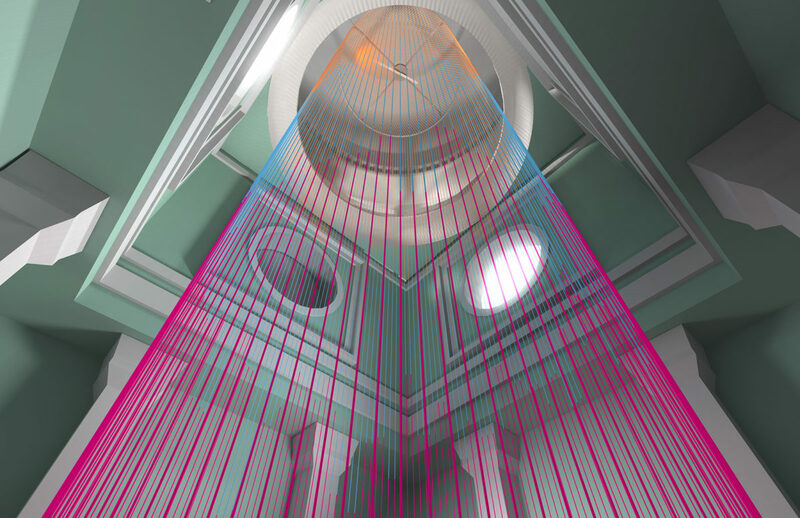 Renowned for their mesmerising, time-based mechanical installations, Glithero have created a cylindrical curtain made up of 160 multicoloured silicone cords that wrap around a six storey stairwell on the west side of the museum, a dramatic space that benefits from a tall classical domed ceiling and plentiful daylight thanks to its large windows. Each cord is connected to a central rotating cam arm that turns at a rate of one revolution per minute. One by one the strings are lifted, slowly rising 2.5 metres from their starting point before returning back down again, creating the effect of parabolic motion. 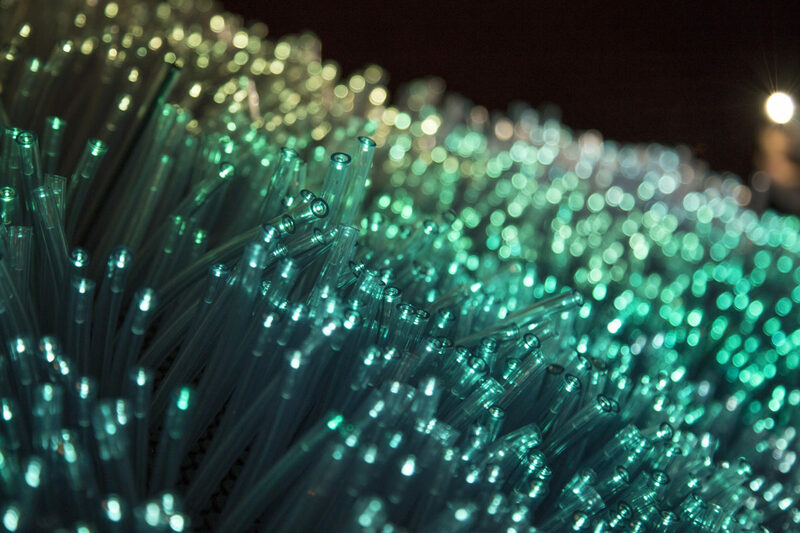 The result is an immersive wave of colour that is first encountered at ground level, just a little over head height. British design entrepreneur Benjamin Hubert, of experience design agency Layer, has collaborated with iconic German brand Braun to create FOIL, an immersive installation located in the V&A’s Tapestry gallery. The large-scale installation comprises 50,000 mirror-finish stainless steel panels on a 20-metre by 1.2-metre undulating ribbon that runs down the length of the gallery and is driven by a high-power German motor in a constant sine-wave motion. Light from LEDs reflects off the panelled surface to create a slowly morphing and evocative pattern of scattered light, moving across the walls and ceiling of the gallery. The installation is accompanied by an atmospheric soundscape that emulates the fluid motion of the sculpture and the reflected light. 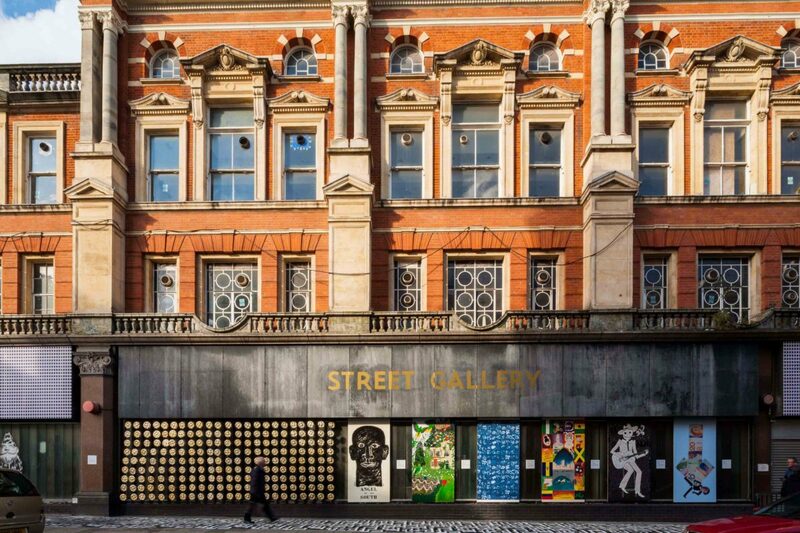 Istanbul-based architecture firm Tabanlıoğlu Architects have brought Sabahattin Ali’s classic 1943 novel “Madonna in a Fur Coat” to life on the bridge over the V&A’s Medieval & Renaissance galleries. “Madonna in a Fur Coat” is one of the greatest novels in Turkish literature,” says Murat Tabanlıoğlu; “We wanted to introduce the book to a new audience in London, as the book has recently been published in English translation for the first time in its 73-year history.” The evocative installation, titled Beloved, takes the form of a 13-metre-long mirrored black box on the bridge. Visitors are able to peer inside through cracks in the surface of the enclosure to see atmospheric scenes from the novel re-created using cinematic techniques, physical objects, text, light, and sound. 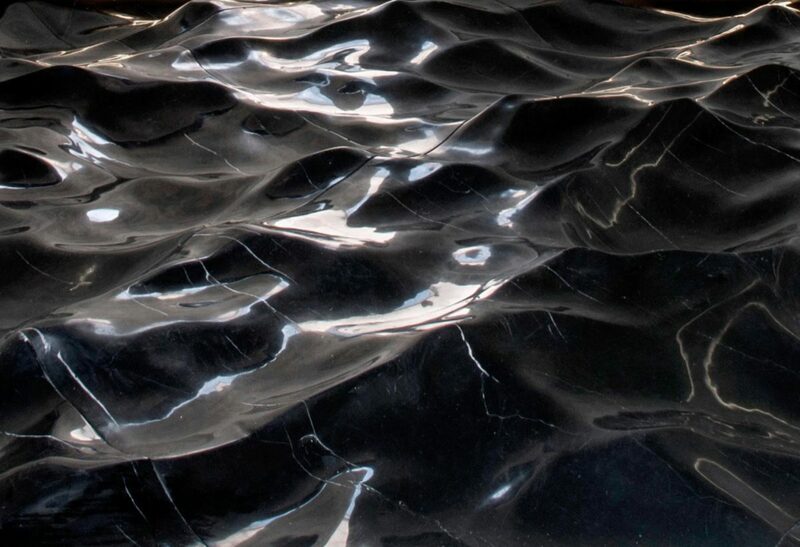 French multi-disciplinary designer Mathieu Lehanneur invites viewers to enter into a meditative state with his work Liquid Marble, a large piece of black marble sculpted into a realistic, yet static, representation of the ocean’s movement. “I’m always trying to understand how the human brain works, and how to put people in a very specific state of mind,” says Lehanneur. “The piece doesn’t move, but the reflection of light on the polished marble makes it feel like a real sea. The idea is to bring a piece of the water to a place where there is none, to create a contemplative experience.” The complexities of the ocean’s movement were captured using sophisticated 3D software developed for the film industry. A single block of marble was then machined to replicate the files and hand polished to create a reflective surface. London Design Fair holds the largest collection of international exhibitions, designers, brands, country pavilions and galleries in one destination during the London Design Festival. In 2015, the London Design Fair hosted over 450 exhibitors from 29 countries. Exhibitors included independent designers, established brands, and international country pavilions, all of which were launching new products to the UK market. 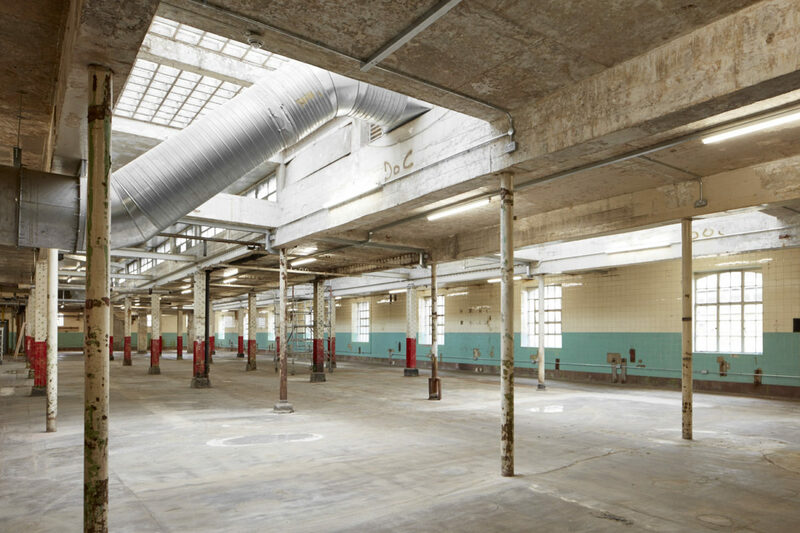 To mark the 10th anniversary of the trade show, and to accommodate continuing growth, the London Design Fair will grow to include an additional 3500sqm 3rd floor at the Old Truman Brewery in East London. Over 25,000 influential retail buyers, architects, interior designers, press, designers, and design-savvy public are awaited this year. Tokyobike is an independent bicycle company founded in 2002 in the quiet Tokyo suburb of Yanaka. Based on the concept of ‘Tokyo Slow’ the bicycles are designed to explore loved places. 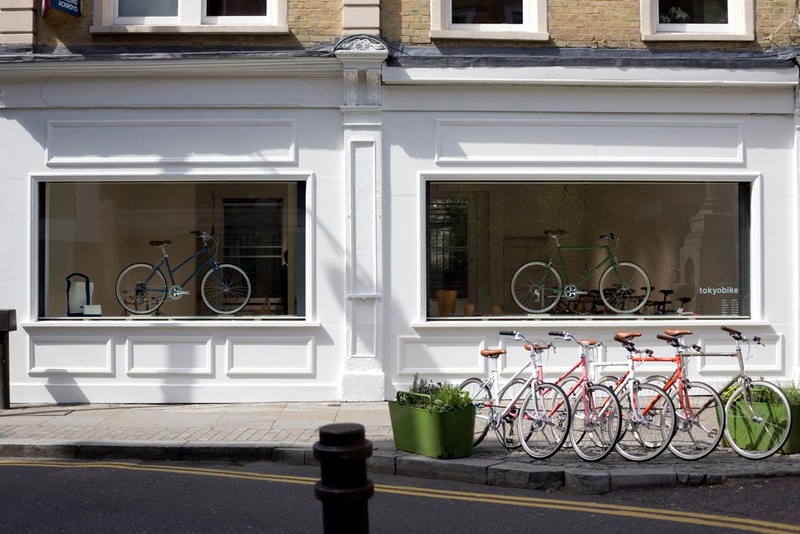 With a Tokyobike, visitors will be able to explore parts of the city and then return the bikes to their new home during the festival, at the King’s Cross location. DesignJunction has also worked closely with the King’s Cross Development and Central Saint Martins, UAL on this year’s event. Six textile works featuring different folding techniques will be presented as the “clothing” of the boutique, establishing a dialogue that resonates with the current collections. The textile works will be hung on wooden structures created for the occasion. The structures are inspired by Japanese kimono stands. They will occupy the space, each carrying a different identity. Echoing the work of Yohji Yamamoto, Pietro Seminelli designs his creations like a protective or defensive second skin, like an armour. 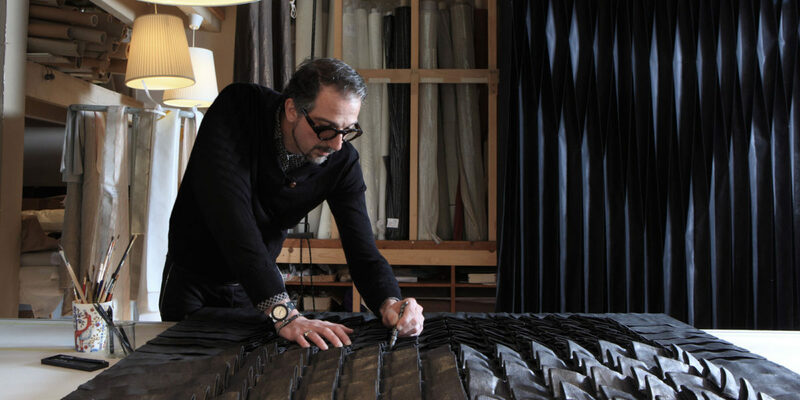 Pietro Seminelli creates his own fabrics in order to control the characteristics of the pleating. He then works on these specific fabrics with a unique understanding to inscribe, line by line, the pattern of the pleats, with the rigor and precision of an architect. Both technically and philosophically, the two artists give life to their creations by exploring different paths such as music, painting and the visual arts. The first Design Biennale taking place in London will present works from 37 countries exploring the theme of utopia by design. Director of the Biennale, Dr Christopher Turner, explains how the centrality of the theme is fundamental to establishing a strong coherence and curated unity between all participating countries and territories. The event will explore questions about sustainability, migration, pollution, energy, cities, and social equality, offering a range of interactive installations, innovations, artworks and proposed design solutions – all in an immersive, inspiring and entertaining tour of the world. Light Pollination is an interactive digital artwork that celebrates the power of light. Featuring around 20,000 individual points of LED light brought to the surface with fibre optics, the artwork is dotted with hidden sensors. When light is shone onto the artwork, it immediately responds by illuminating and reacting to the smallest of movements, eventually generating a ‘burst’. This creates a pollinating effect across the artwork. 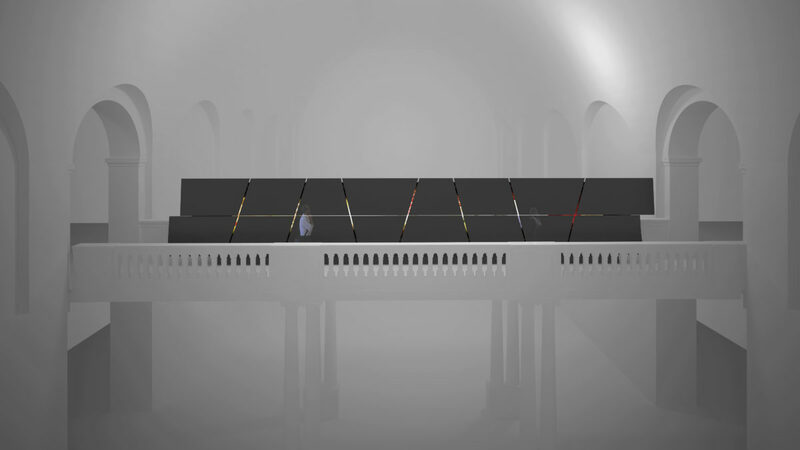 Light Pollination was commissioned by iGuzzini, an international architectural lighting company and the digital artists are UniversalAssemblyUnit, a London-based space animation studio. Bocci’s immersive light installation “44” is the second site-specific commission for the Lightwell in the Barbican foyer. Designed by Omer Arbel, the light installation comprises of over 300 free-poured aluminium forms which are suspended from the ceiling by a matrix of thin cables. 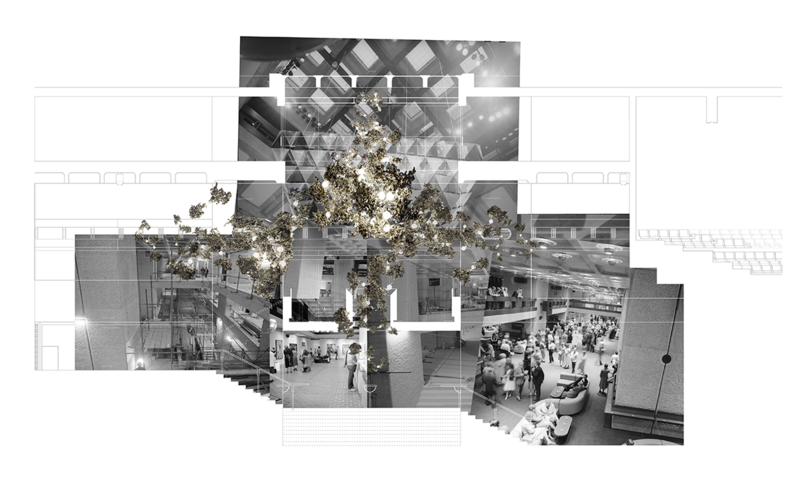 As the sculpture descends into the space and expands, it punctuates the spaces of the Barbican foyer, engaging with notions of weightlessness and mass, craft and mass-production. Made a Mano invited Faye Toogood to explore the raw and resilient lava stone of Mount Etna. 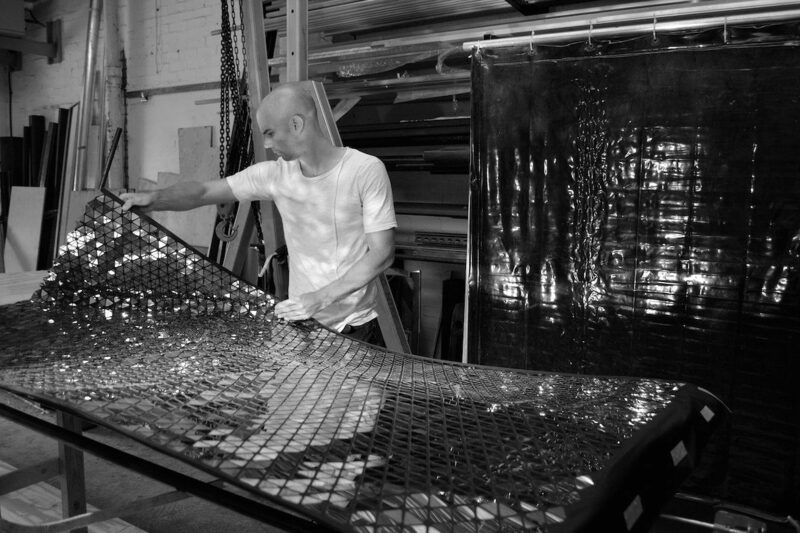 The process and the findings of this journey will be revealed at Toogood’s East London studio. Asif Khan has designed a family of architectural installations called “Forests” using plants to explore the relationship between public and private space in the city. The plan comprises of three-part installation that explores architectural solutions to urban living as part of the brand’s MINI LIVING project. 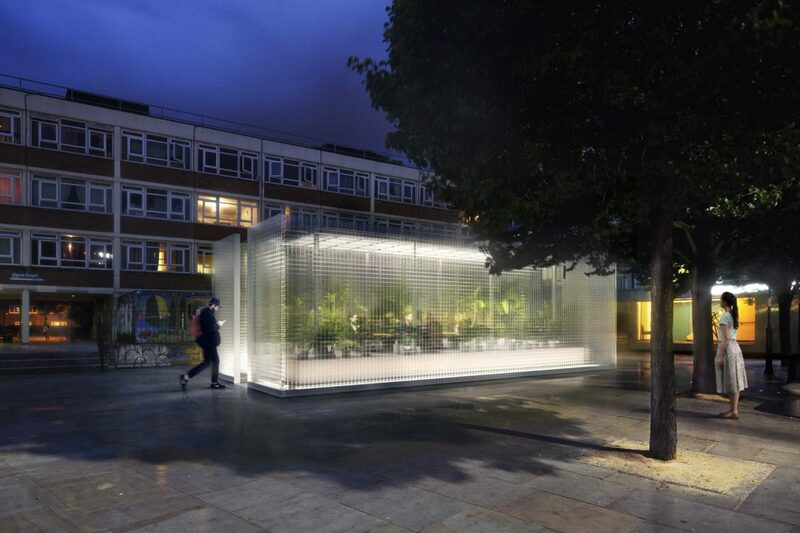 Three forest bathing spaces filled with plants are inserted into Shoreditch’s busy city streets, offering locals places to connect create and relax. Horticulturalist Jin Ahn of the Conservatory Archives in Hackney will curate the plant life inside the installations.